Body image is SUCH a big deal. Having a healthy one is truly a prerequisite for being happy — and feeling good. After all, you can be the fittest and healthiest person on the earth, but if you don’t feel like you are and you’re miserable, then it doesn’t really matter. Not to mention how eating disorders can completely deteriorate your health and your well-being — and even kill you. Which begs the question: could we be doing more to prevent eating disorders in the next generation? Erin recently shared some great tips over on Fit Bottomed Mamas discussing just this. 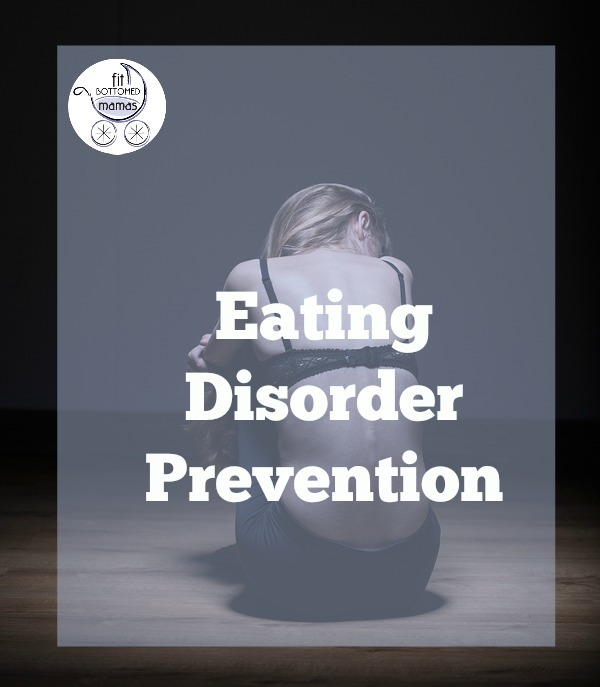 While I never had a full-blown eating disorder, I certainly had food issues that could have easily become disordered had I not had healthy role models (thanks, parents!) and professional help in my 20s (that journey inspired much of FBG’s mission). Just another reason to keep modeling a healthy body image for my daughter — and to keep an eye on what media my whole family (including me!) are exposed to. So many people struggle with body image. I would hate for my daughter to suffer from an eating disorder.